15 JUN 2016: Valley View, OH – Great Lakes NeuroTechnologies (GLNT) announced today that three scientific research studies validating Kinesia wearable tech for Parkinson’s disease applications will be highlighted at the 20th International Congress of Parkinson’s Disease and Movement Disorders in Berlin, Germany. These scientific presentations were all selected to be part of guided tours in Surgical Therapy and Technology tracks at the conference which highlight innovative research in targeted areas of movement disorders. The biomedical research team at GLNT will be providing scientific evidence for efficacy and cost effectiveness in telemedicine, objective wearable sensors for advanced therapy referral during remote monitoring, and objectively evaluating bradykinesia response to deep brain stimulation (DBS) programming. 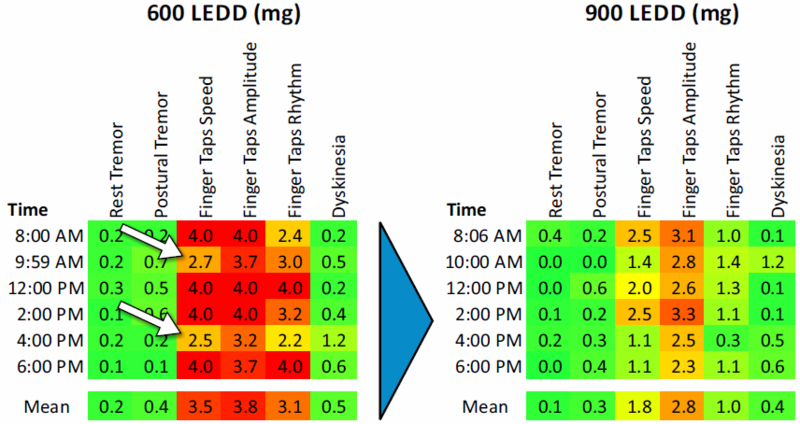 “Wearable sensors and decision algorithms for advanced therapy referral in Parkinson’s disease” (P. 85) will present details on how objective data from remote monitoring assist clinical decisions about advanced therapy referral. When a clinician had access to wearable sensor data from Parkinson’s disease patients, they were more likely to recommend a patient for advanced therapy, such as DBS or medication pumps. “Automated Telehealth Diagnostics for Remote Parkinson Monitoring” (P. 570) will present details on wearable sensors and remote monitoring for patient care applications in Parkinson’s. Patient compliance in the technology group was high, and there was no significant difference in outcomes between patients in standard of care versus the remote monitoring group, which can decrease costs and travel. “Reliability and Responsiveness of In-Clinic and At-Home App Based Bradykinesia Assessment” (P. 568) will detail how objective sensors capture bradykinesia response to DBS settings with a higher sensitivity and test-retest reliability compared to traditional clinician scores. Additionally, objective wearable sensors can capture the onset and washout of bradykinesia symptoms as a function of turning DBS on and off.